Far above the moon, Planet earth is blue, And theres nothing I can do. I just came across some new clips from an upcoming Science Fiction film that's coming out later this year, Moon. The movie is starring Sam Rockwell, and is due to premiere later this month at the Sundance Film Festival. 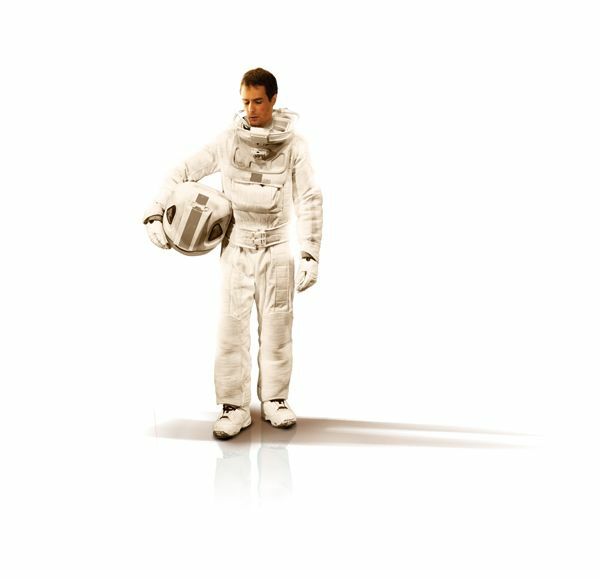 Sam Bell (Sam Rockwell) is nearing the end of his contract with Lunar. He's been a faithful employee for 3 long years. His home has been Sarang, a moon base where he has spent his days alone, mining Helium 3. The precious gas holds the key to reversing the Earth's energy crisis. But 2 weeks shy of his departure from Sarang, Sam starts seeing things, hearing things and feeling strange. And when a routine extraction goes horribly wrong, he discovers that Lunar have their own plans for replacing him and the new recruit is eerily familiar. There are some clips of the film here. There's a couple of things that have me interested. 1 - Clint Mansell is doing the soundtrack. 2 - It's starring Sam Rockwell, Kevin Spacey and Matt Berry. 3 - from the clips on Collider, there looks to be an incredible attention to detail, and while I have some ideas about the plot, I'm excited because it's another new and original film in the genre - that's something that we don't see very often. The plot, most of all, is what's really appealing, above the actors and soundtrack (although Clint Mansell is fantastic - his score for The Fountain is just brilliant). I've seen things that seem to imply that this film will be darker comedy, which would certainly work, but from everything that I've seen thus far, it looks like there's going to be a very solid psychological plot as well. My guess, based on the plot and clips, that Rockwell's character is not the original, a copy. Not the most original of science fiction stories, but in this instance, it looks very intriguing. I could be completely wrong. Unfortunately, this doesn't look to be a film that's going to blow away the box office. No, this looks more like it'll be along the lines of Solaris and The Fountain, which received a lot of critical praise, but didn't have people lining up around the block for them, because they're certainly films that are more intelligent than the average science fiction film. At this point, what's really blown me away so far is the way the clips have played out. It's only a little bit, but the production values look just brilliant, as does the CGI. The director's style looks to be very good as well. This should be a film to really keep an eye out for. According to Mansell's myspace blog, it looks like the music will be out around April, so I wonder if the film will get a wide release this spring.